If you want something better, good looking and pretty watch, just look out on this Citizen Eco Drive Chronograph FB1112-13D FB1112 Women’s Watch. This is an amazing watch. 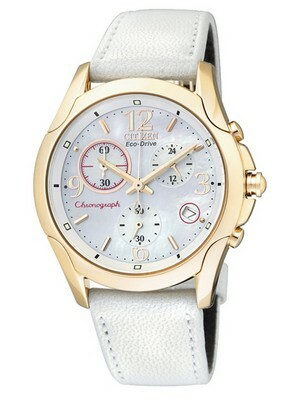 The case of this Citizen Women’s Watch is made up of Stainless Steel with Rose gold plated. It has a Calf Leather Strap which looks so beautiful. The Curve Sapphire Glass protects the watch so well. It is extremely scratch resistant. This Citizenwatch is so nice that every woman can wear it on any occasion. This watch has a Mother of pearl Dial with luminous hands. So you can easily read the time in dark places also. This Citizen Chronograph Watch is the ultimate watch. It is fully equipped with Eco-Drive Movement. The ability of eco-drive technology to convert any source of light into electric energy is the use of unlimited resources of the nature. It has 24hrs and Date Display. This watch gives accurate time and it has the Caliber of H504. The feature is that it is a chronograph watch. This beautiful Citizen Chronograph Eco watch has unique features of Insufficient Charge Warning Function and Overcharge Prevention Function. This watch is really well made Japan watch for women. The Case diameter of this watch is 32mm and the case thickness of this watch is 10mm. It is one of the most fabulous watches to own for women are undoubtedly this citizen women’s watch. You can also gift this watch to a friend, colleague or your mom. This watch is available for US $175.00 with us. 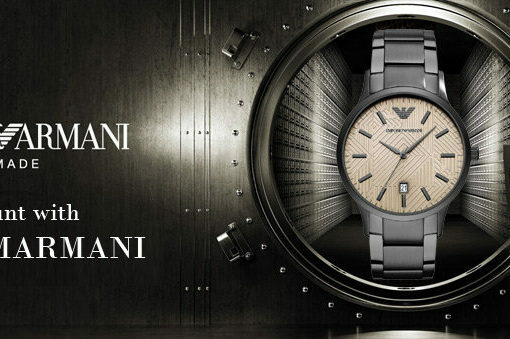 Newsletter : Emporio Armani Watches On Sale – Coupon Code Inside!! Grand Seiko: A perfect match to business suits?